BFF’s annual board meeting is tonight. In preparation, I have been reflecting on this past year’s activities and events in light of our overall goals and purposes. BFF, by God’s mighty grace, labors to build up the people of God around the world. Here are a few details of the this year’s exciting developments. In the last STM trip our finances were short, until a church in the Philippines, on their own, gave to the ministry. Now we even have a little starting fund for next year’s trip. Our Vimeo video site now has 25 channels, 15 of these training channels are in foreign languages (bilingual training). This increase is right along our goals. We thank the Lord for making this possible. See bottom for chart or click here. BFF remains a faith mission with only 15.8% of our funds pledged by churches and individuals. Each month’s home side needs, as well as the international leadership seminar funds, are a mystery as to how God will provide. We praise God for keeping us these twelve years of ministry. BFF sponsored seven 3-day international pastor/leader training seminars this year, each being wonderfully used by the Lord. We have many, many invitations to return or to go to new places. BFF training materials are going out to more and more people around the world. New avenues are opening up as smart phones and pad devices are accessible everywhere. ￼This provides many wonderful opportunities to serve churches in developing countries with lots of biblically-oriented training resources that help them mature in their Christian lives and ministries. 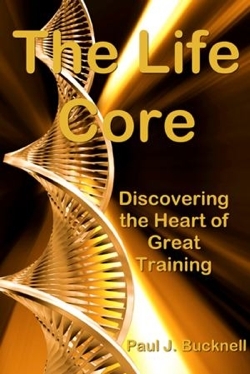 Our new book, The Life Core: Discovering the Heart of Great Training is now available in our bookstore eBook formats: (pdf, epub and mobi). The Life Core identifies the underlying cause to this crisis in the Christian church and proposes practical solutions by focusing on the integration of God’s life into the heart of the church through proper training. God’s people need to insist that their churches, seminaries, schools and leaders present the power of God’s truth to transform their lives, empower and equip them to lead others to life transformation. The Life Core, my newest book, has been edited (thanks to a volunteer) and going out! Pray the Spirit of God would use it to revive people, churches and schools. Two lessons are prepared for the new “Redemption Through the Scriptures” series. Grace for the preaching and teaching schedule. Thank the Lord for much provision for Allison’s college needs this semester but pray for grace and finances for the new term starting in 4 weeks time! Preaching and teaching several times more this month including this Sunday 12/10. Pray that the Lord will provide all our financial needs this year. It appears that Cuba and Peru are two likely places to hold seminars but still in the confirmation process. Pray for the Lord to oversee tonight’s (Thu Dec 6) BFF board meeting as well as to direct and complete His good and perfect will this coming year. Thanks so much for all of your prayers! If you want to contribute financially, please send the check to our address but write the check to PCCO with BFF in the memo (General, STM, Love). We are so thankful for your kind giving!